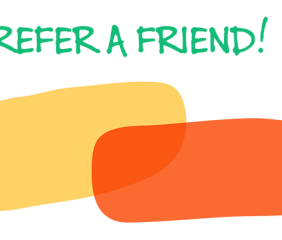 The Melltoo referral program is a great way to share Melltoo with your friends and colleagues *and* receive a reward for it! Every time someone uses your unique referral link to sign up for a new Melltoo account, both you and your friends’ Melltoo eWallets will be credited with 20AED* each. You can use your Melltoo credit for any ‘in-app’ purchases on melltoo, up to 50%* of the purchase price (max 300* AED per transaction). You can save as much as 1000AED in online purchases on Melltoo just for referring friends. You cannot withdraw melltoo free credit from your account as cash. 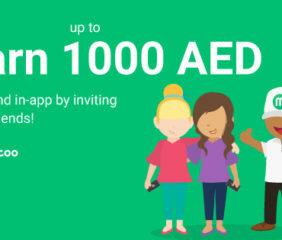 There is a lifetime CAP of Melltoo referral credit at AED 1,000* – you can therefore refer up to 50* friends with your unique link. *Amounts subject to change without notice, refer to the app for current amount. How do I sign up for the referral program? Your referral link is available in-app by tapping on the left menu “Earn Free Credit”. You can also go to Give 20 Get 20 and enter your email to receive your personalized referral link. All you have to do is share your unique referral link with family and friends via Facebook, Twitter, Whatsapp or email. You can retrieve your referral link also from Give 20 Get 20. Can I have multiple referral links? The good news is that you only need one! Each user has a unique referral link that is associated with their Melltoo account. Anytime a new user signs up for a new Melltoo account using your link, you will automatically be credited with 20* AED free credit to spend on Melltoo. Buying and selling between duplicate accounts using referral credit is not allowed and such duplicate personal accounts will be banned and blocked. Buying and selling between friends and family for the purpose of ‘ cashing out’ referral credit is considered fraudulent and against Melltoo policy – such activity will be blocked and banned without notice. How much Melltoo credit can I earn? You can earn up to 1,000* AED ONLY – as this is a ‘ lifetime’ amount. Where can I find the Melltoo credit I earn? 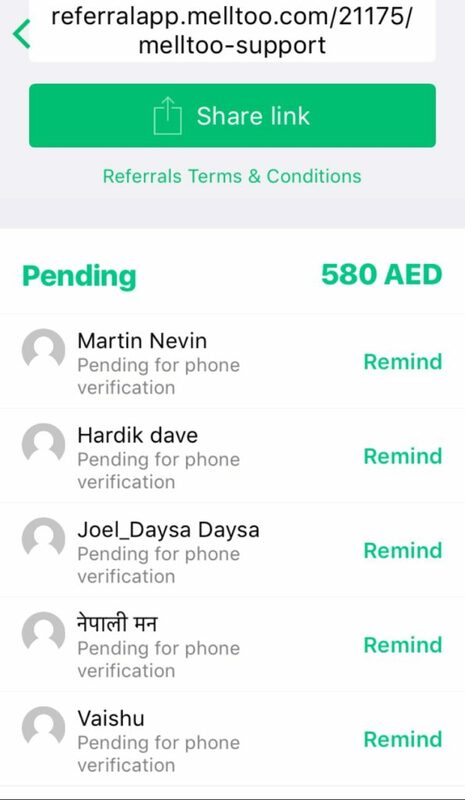 Once your unique referral link is used to sign up for a Melltoo account, your 20* AED referral bonus will be credited to your Melltoo Wallet, which is located at the top of the app. How can I use my Melltoo credit to purchase something? Once you’ve found something you want to buy, press on the BuyItNow button and the price of the item will automatically be deducted from your Melltoo Wallet. Referring and keeping track of your referrals has never been easier on Melltoo. The app shows the friends who’ve signed up using your link and the amounts you have earned. You can use the “Remind” button to remind your friends to complete the verification process so that you both receive 20AED. Can I use my Melltoo credit to buy any product on the app? Yes, you can use the credit in your Melltoo Wallet to buy anything from any category, except the car category. You can pay up to 50% (300 AED max per purchase) of the purchase price with your free credit. Can I withdraw the money that I earn from Melltoo’s referral program? No, referral credit can only be spent in the Melltoo app. 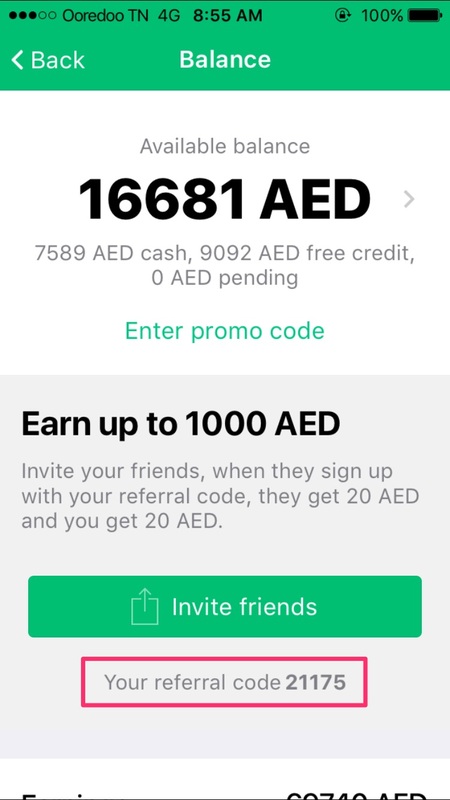 Is the Melltoo referral program only for UAE residents? 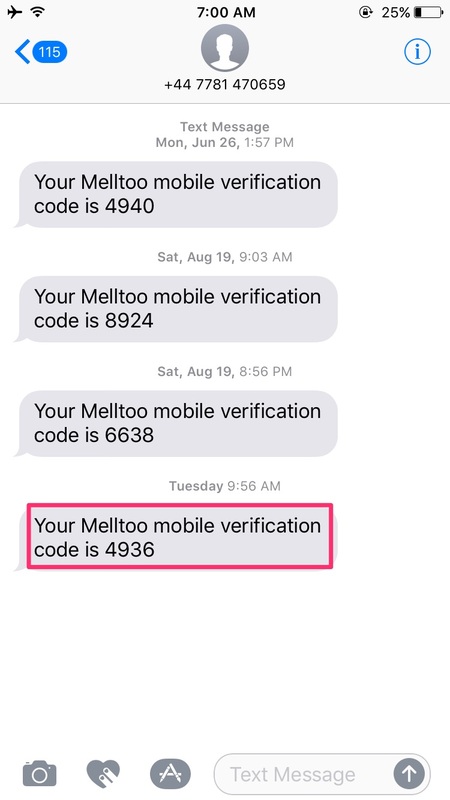 In order to create a Melltoo account, you need to have a UAE mobile number to receive the code that is required for completing the account verification process. So, at the moment, we only offer our referral program to UAE residents. However, we hope to make it available in other countries very soon insh’Allah. My friend tried to sign up for a new account, but it says that the account already exists? 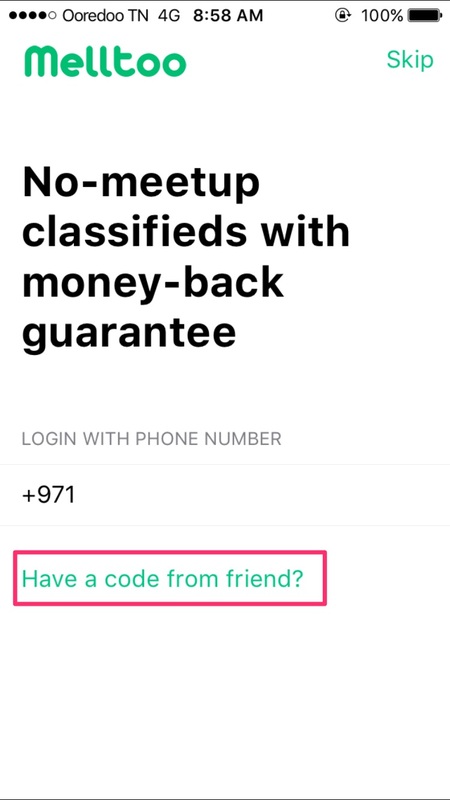 If your friend already has a Melltoo account, they can only get referral credit by using their own unique referral link to invite other people to sign up for Melltoo. If you any other questions or inquiries about Melltoo’s referral program, feel free to email us hello@melltoo.com or you can chat to us directly through our customer support chat on the app. The Melltoo Referral Program (“Program”) offered by Melltoo Marketplace (“Melltoo”) was created with the goal of rewarding loyal Customers (“Referrer” or “Participant”) who recommend friends, colleagues and family members (“Participant” or “Referree”) join Melltoo’s vibrant marketplace. The Program was also established to reward the friends, colleagues and family members who took Referrers’ advice and joined our community, by offering them a reward for signing up! The following Melltoo Referral Program Terms and Conditions (“Program Terms and Conditions”) contains important information about the Program and the way that relationships between Referrers, Referrees and Melltoo will be regulated. These terms represent a binding agreement between the aforementioned parties and will govern each party’s’ participation in any and all Program offers. By participating in the Program, you agree to respect the program rules, as outlined below, and Melltoo’s General Policies, as outlined on the website. If Participants do not agree to these Program Terms and Conditions in their entirety, they will not be authorized to participate in the Program. Failure to respect the Program’s Terms and Conditions and Melltoo’s General Policies could lead to punitive measures or the permanent suspension of Participants’ Melltoo accounts. A referral is valid when an existing Melltoo account holder invites individuals with no previous Melltoo account to download the app using their unique referral link. Referrals are not valid where the Referrer and the Referee are the same person. Both the Referrer and the Referee immediately receive 20AED Melltoo credit in their Melltoo Wallets, after following all the correct rules and procedures. Neither the Referrer nor the Referree immediately receive 20AED Melltoo credit in their Melltoo Wallets, despite having followed all the correct rules and procedures. Melltoo credit accumulated from referrals can only be used to purchase items in-app. Up to 50%* of the purchase price or a maximum of 300* AED can be paid using free credit. Melltoo credit accumulated from referrals can’t be withdrawn or transferred to other users. Posted on November 12, 2015 February 28, 2017 Author Sharene LeeCategories Blog, Help ArticlesTags free credit, referral2 Comments on What is the “Referral Program”?